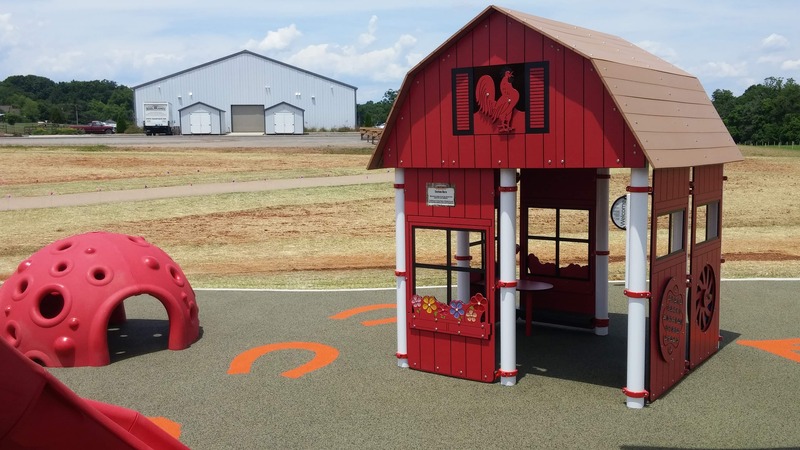 Rescue Ranch held a community ribbon-cutting on Saturday, June 3, 2017 for the “Earnhardt Family Playground.” Rescue Ranch is a Non-Profit Animal Welfare Organization founded by Krissie and Ryan Newman. 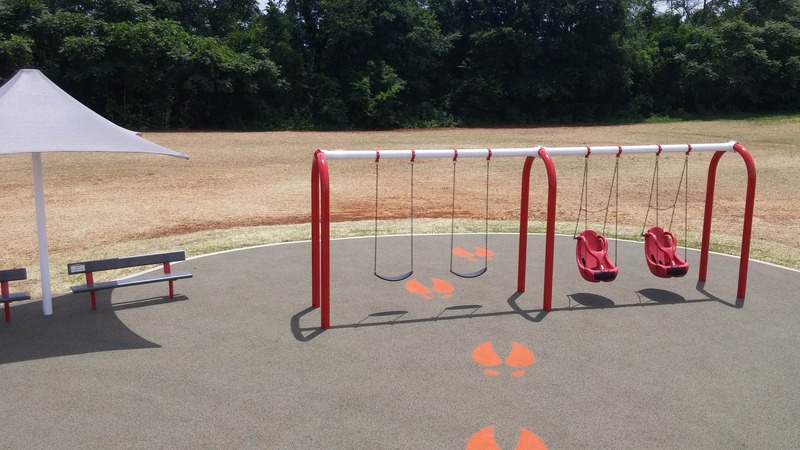 This playground was made possible by a generous donation from the Dale Jr. Foundation. 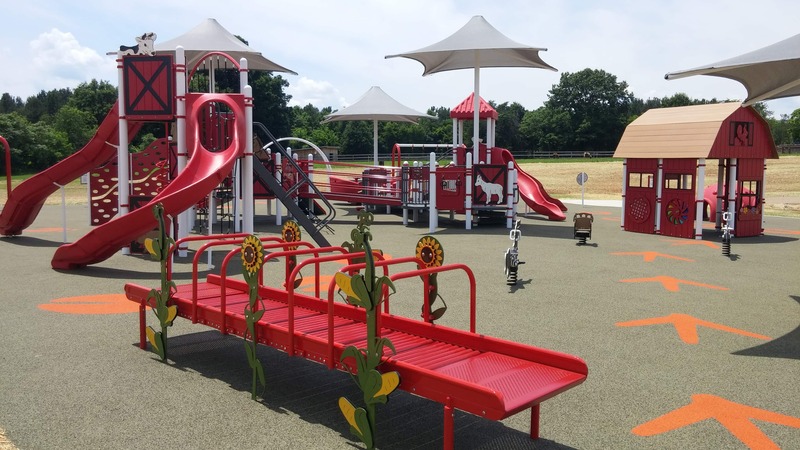 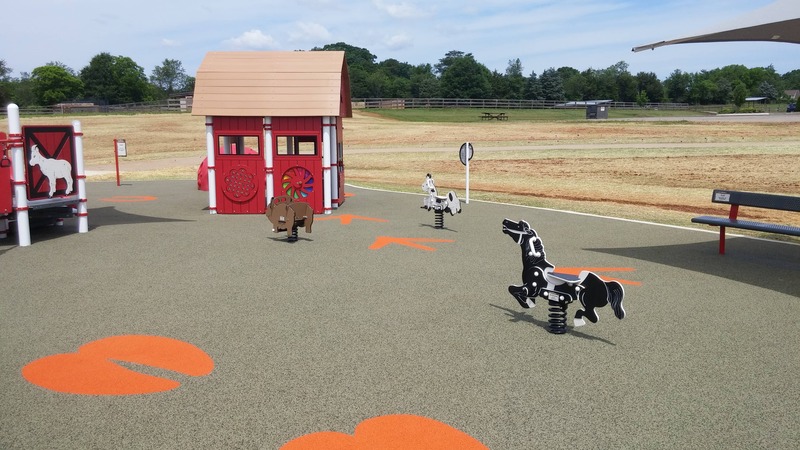 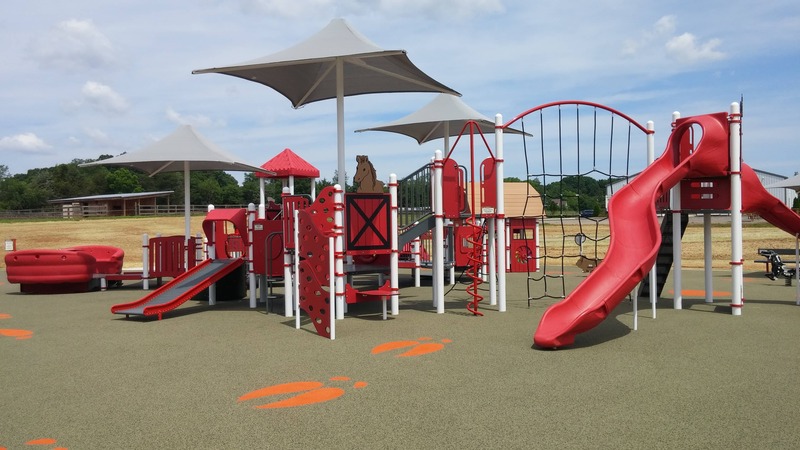 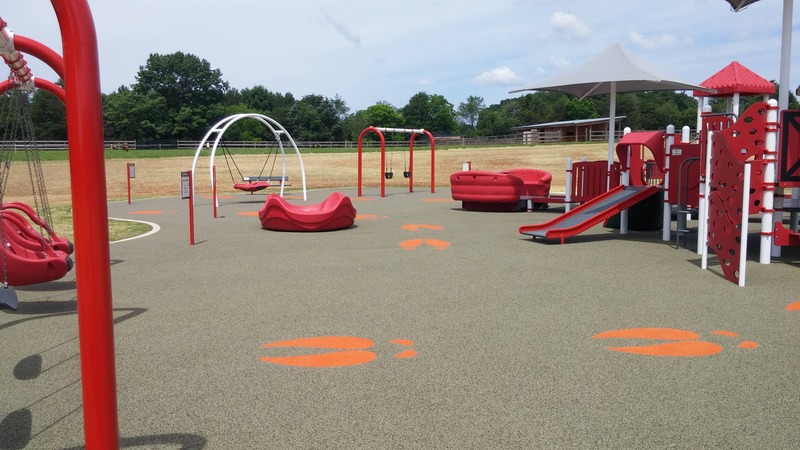 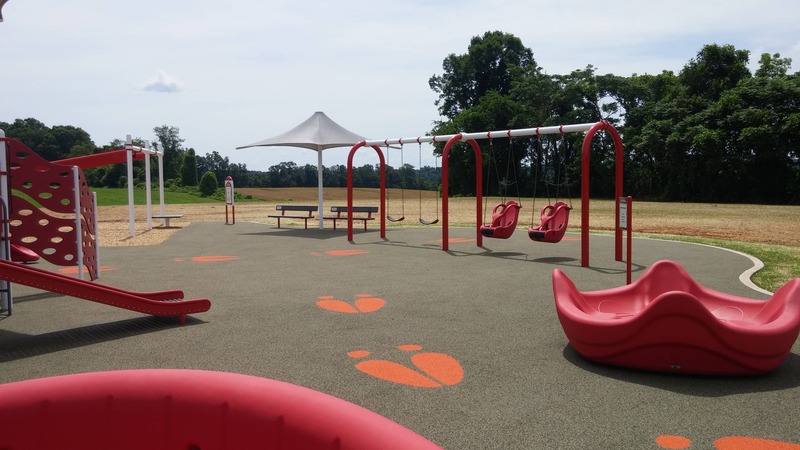 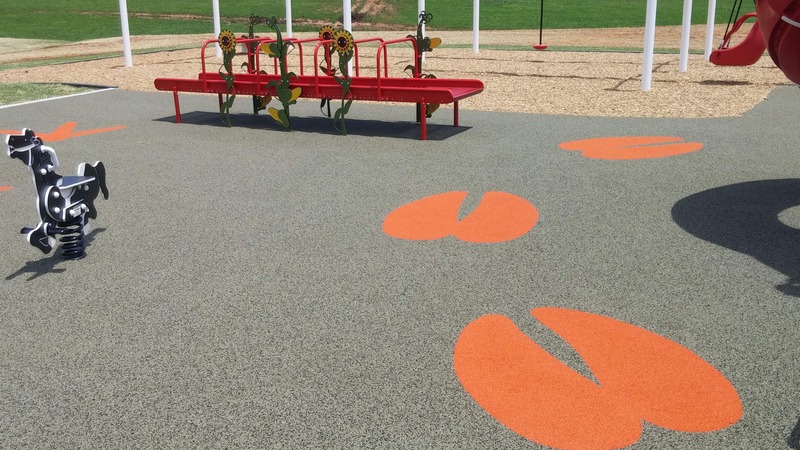 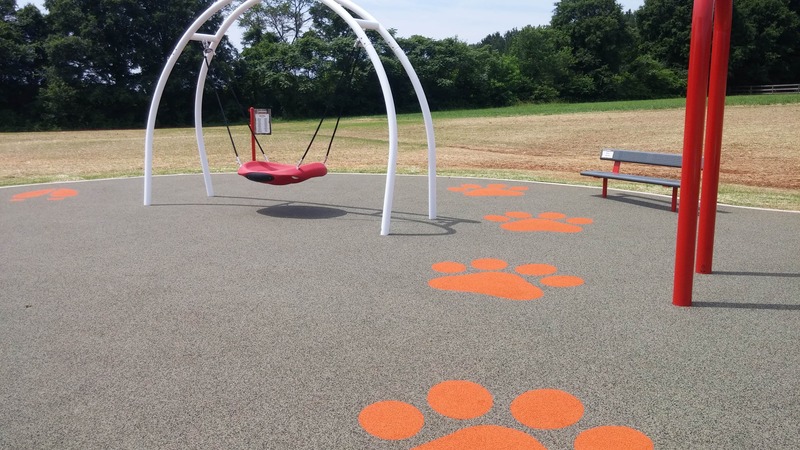 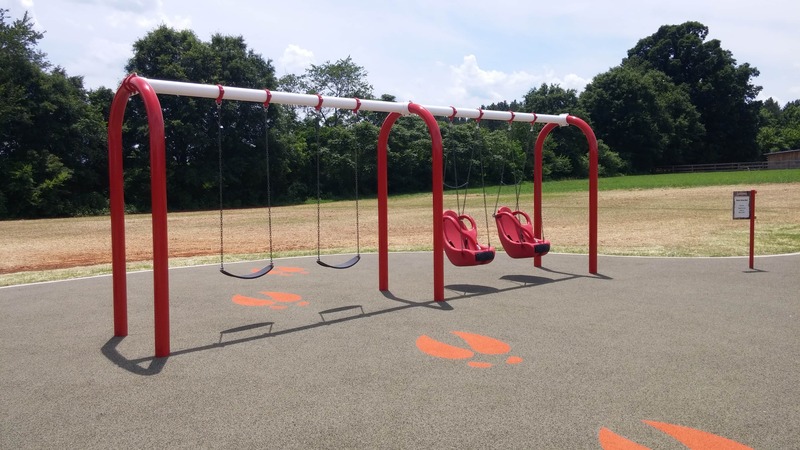 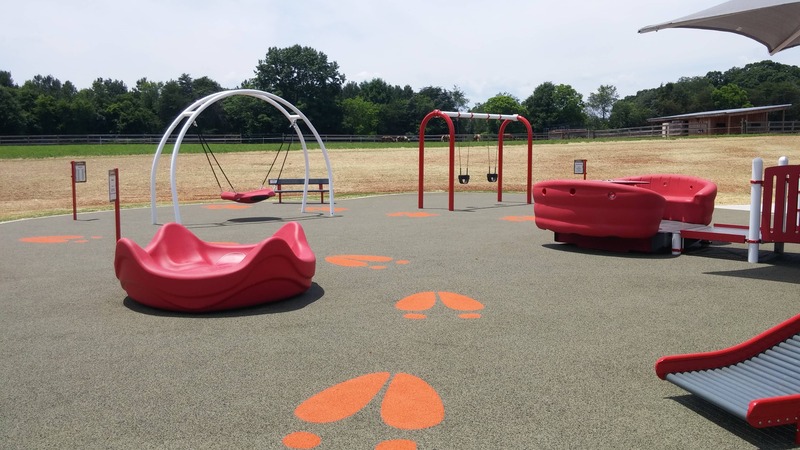 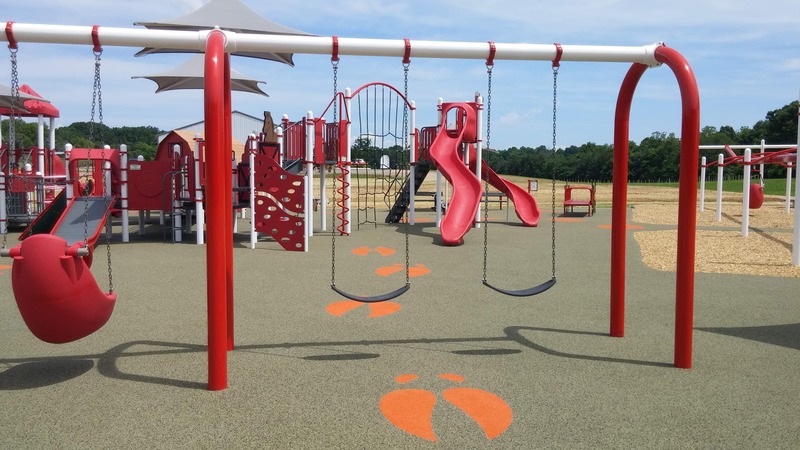 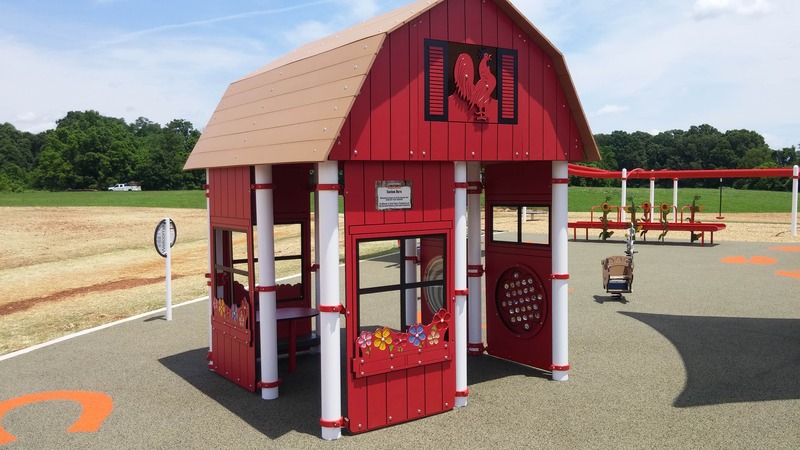 The new “10,0000 Square Foot” Inclusive Playground at Rescue Ranch has an Animal Theme with a custom Barn and poured in place surfacing with an array of animal footprints which fits perfectly into the Rescue Ranch landscape. 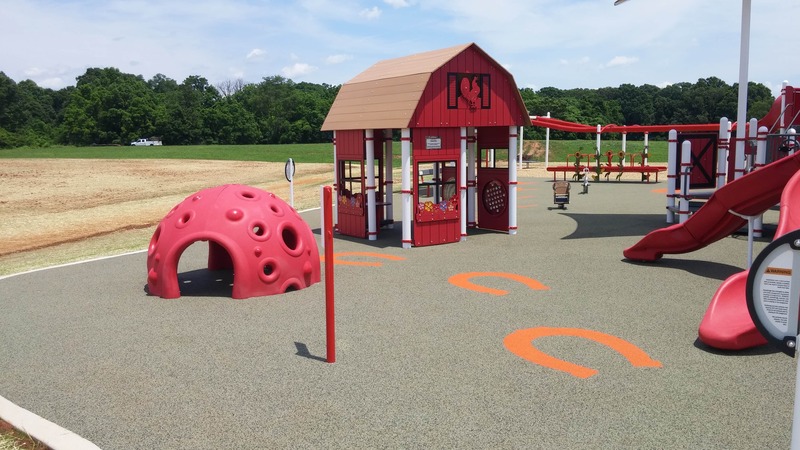 This playground will play a part in Rescue Ranch’s educational programs to promote respect for animals and responsible pet ownership, as well as agricultural, environmental and wildlife conservation by providing an additional place for all to play including Critter Campers, school groups and more. 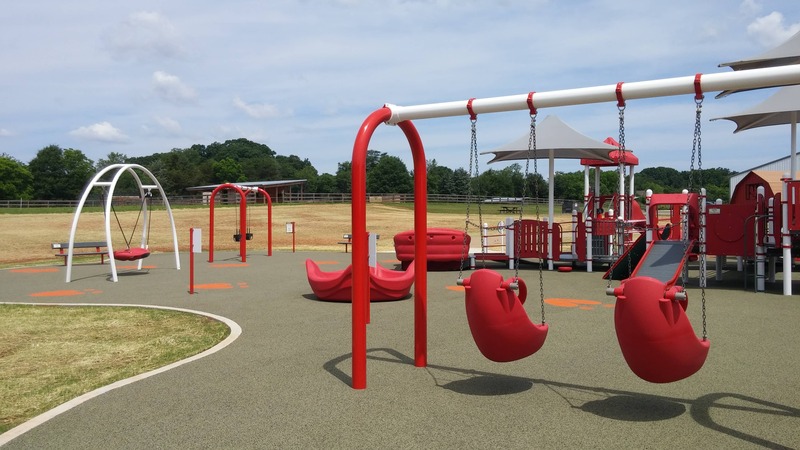 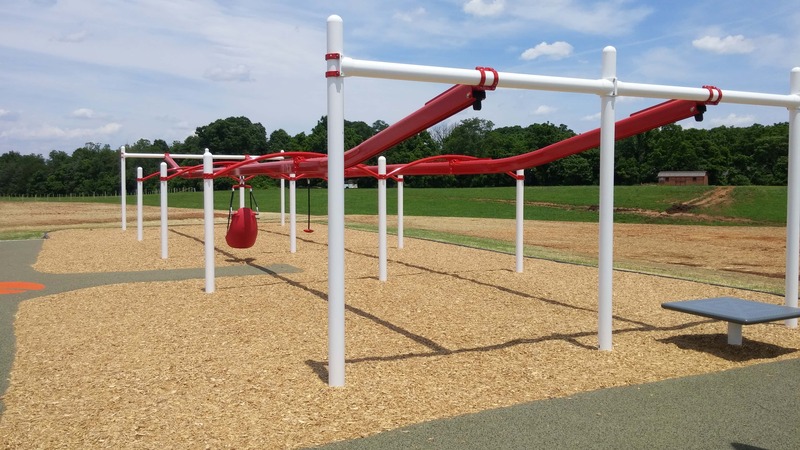 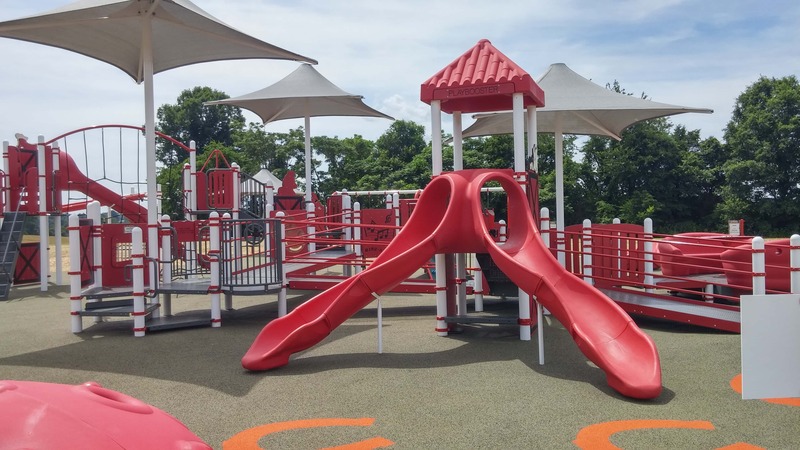 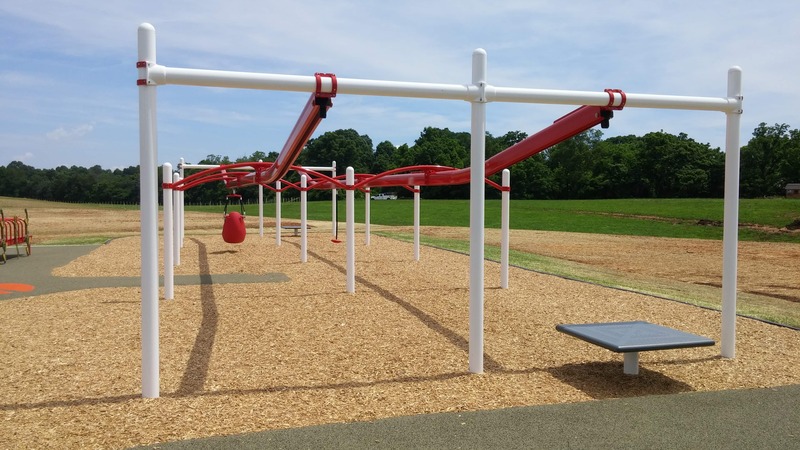 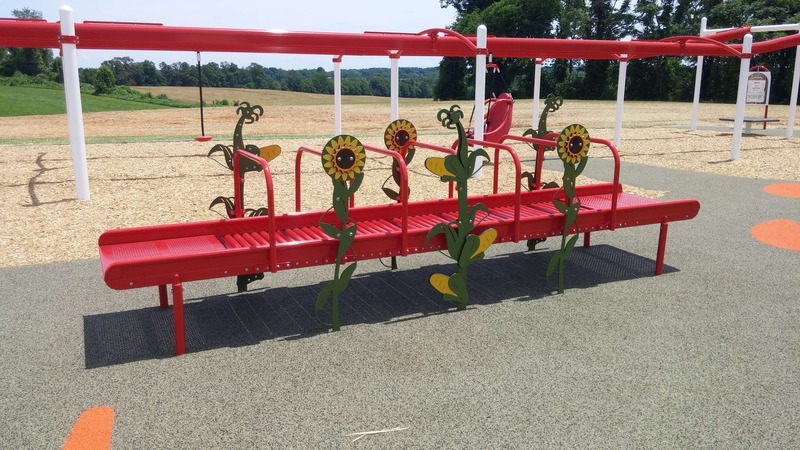 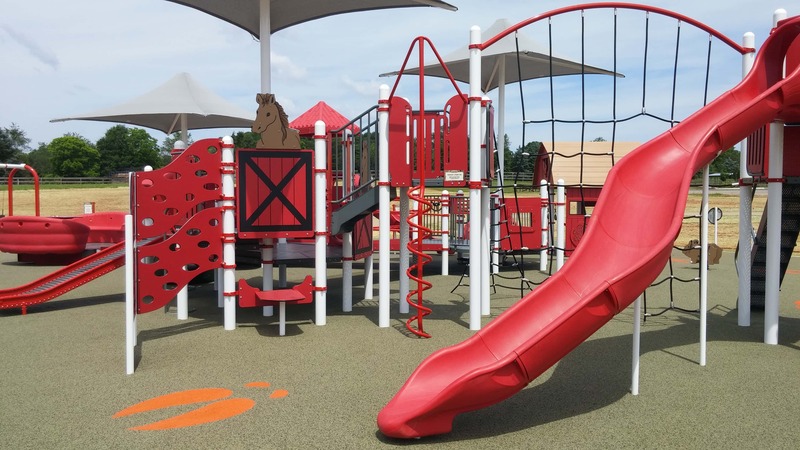 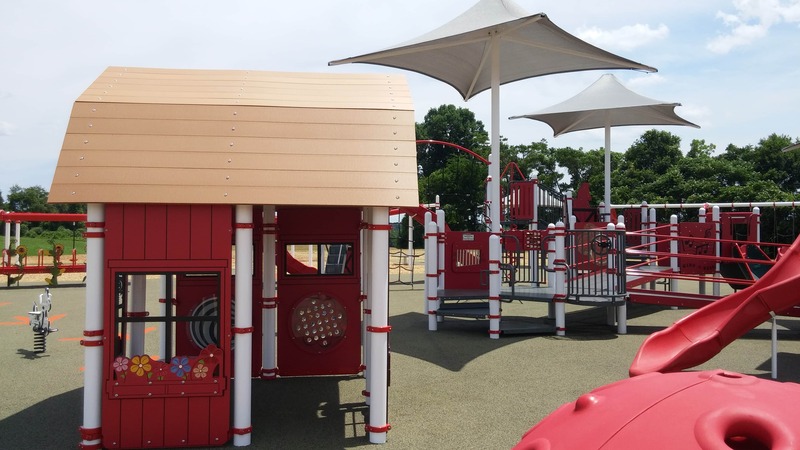 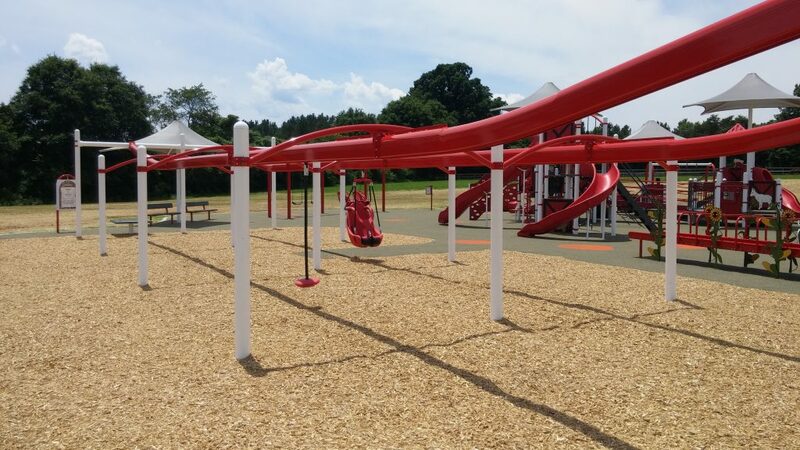 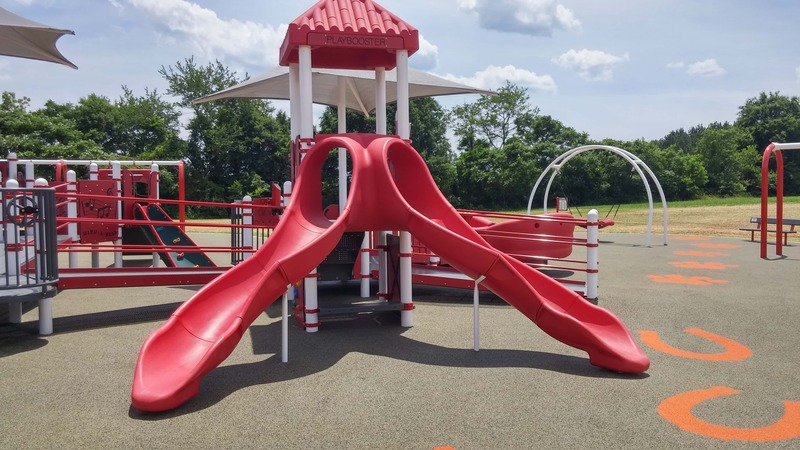 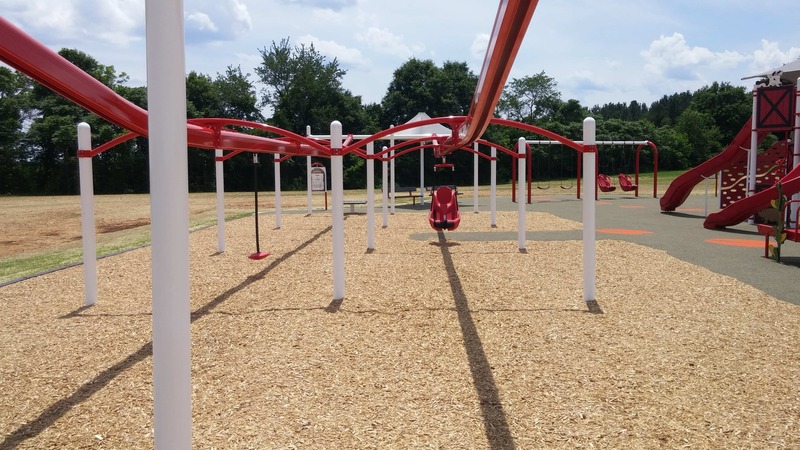 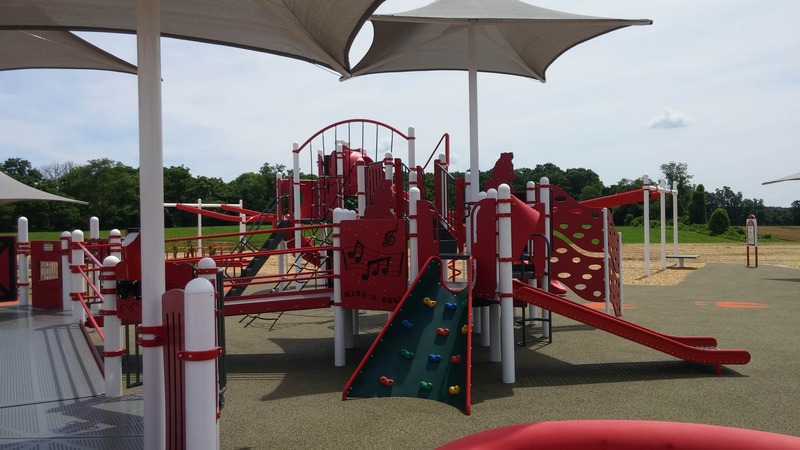 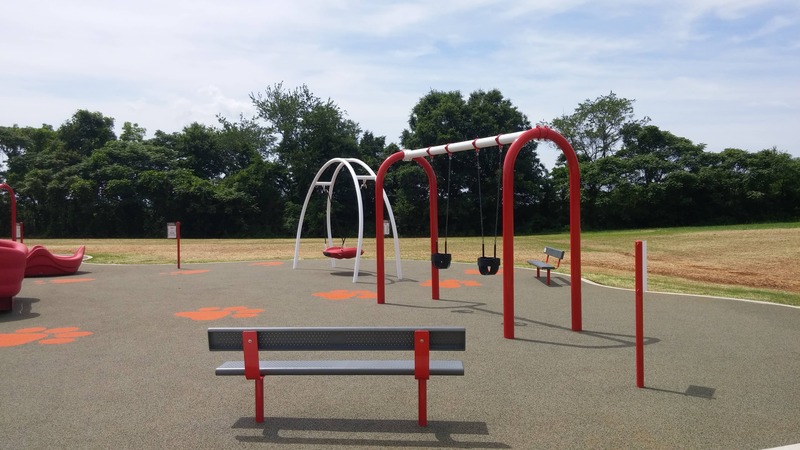 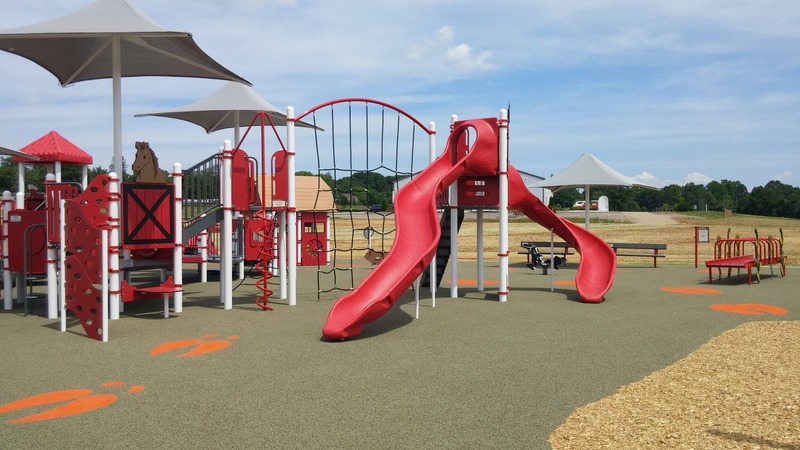 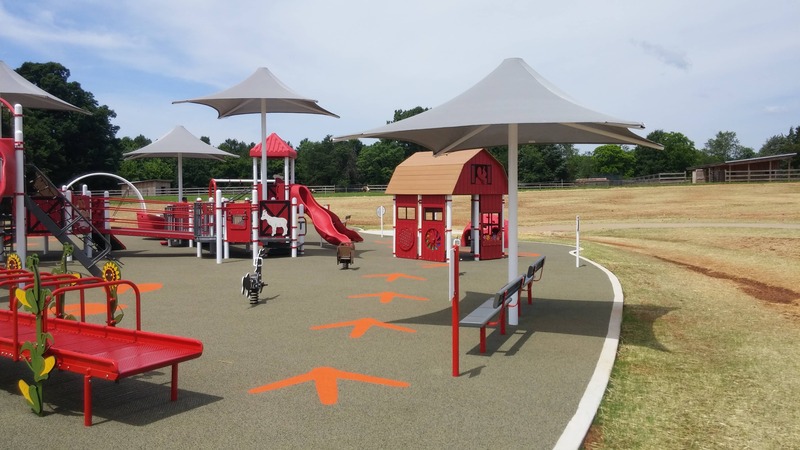 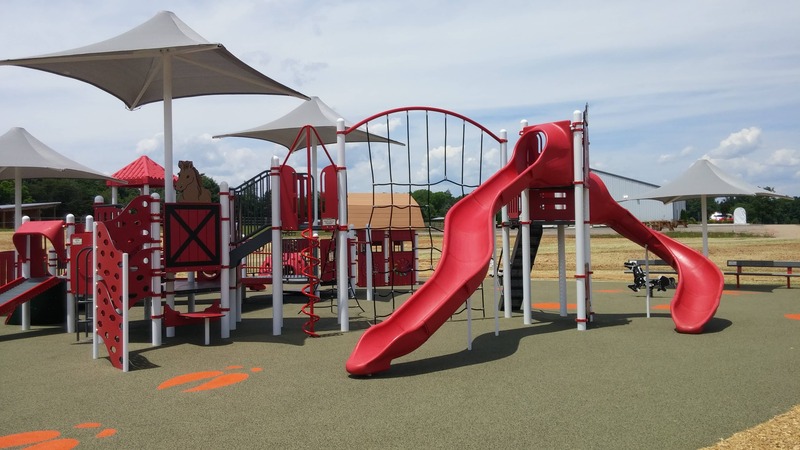 The playground equipment at Rescue Ranch is manufactured by Landscape Structures Inc., the leader in the industry of Inclusive Playgrounds. 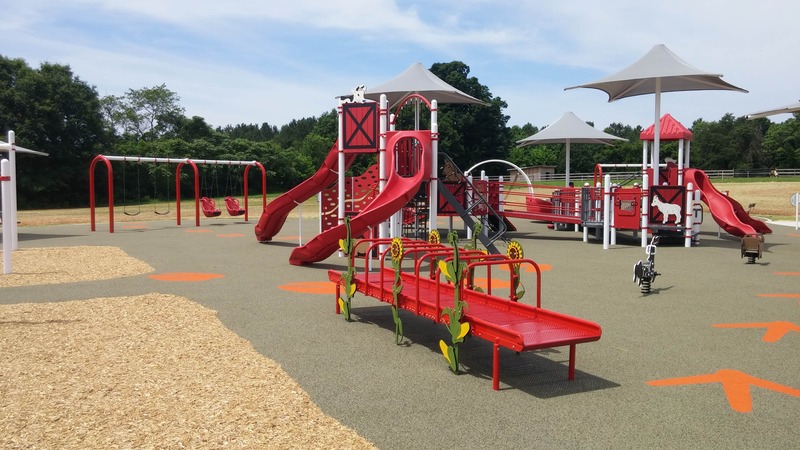 Landscape Structures creates playgrounds that are age appropriate, sensory stimulating and universally designed to make environments more usable, safer and healthier for all. 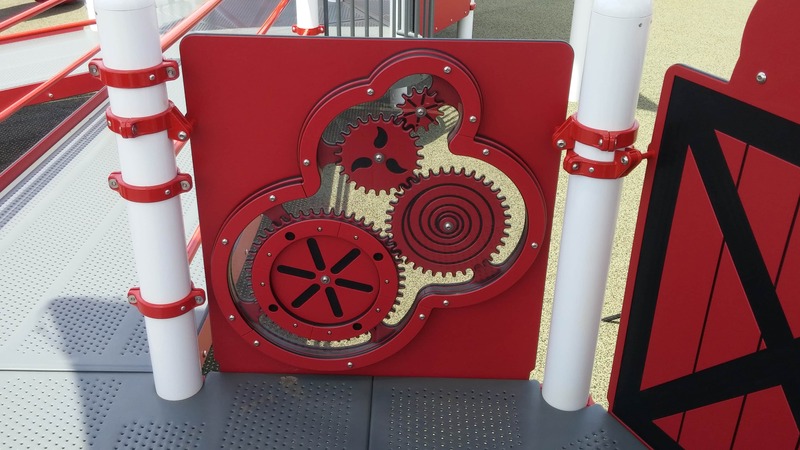 Climbers: Vertical Ascent; Vertical Ladder, Crest Climber; Loop Ladder; Cascade Climber; Corkscrew Climber, Conical Climber; Pod Climber; Portal Climber; and Star Seeker Climber. 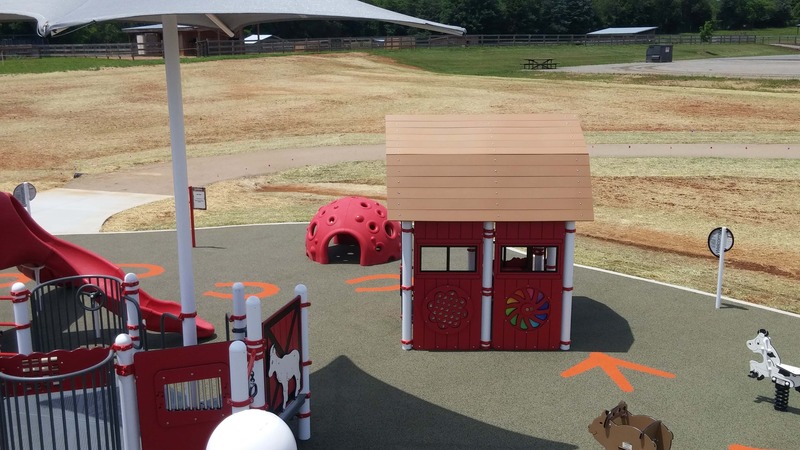 Click here to watch NASCAR’S video on the Earnhardt Family Playground at Rescue Ranch. 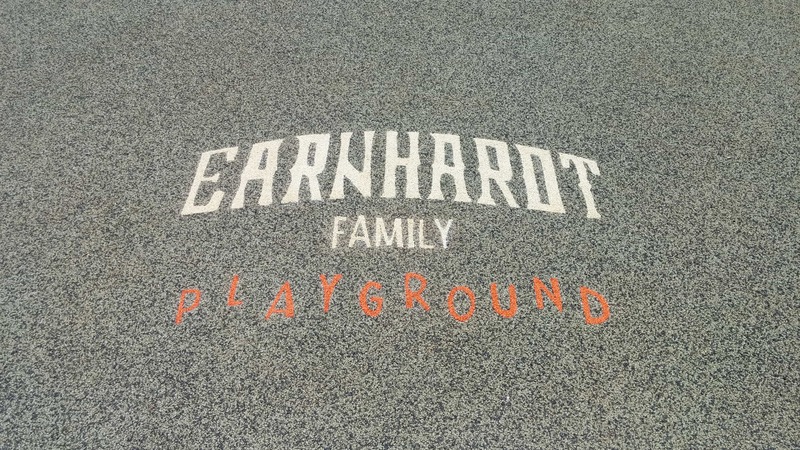 Click here to read an article on Foxsports.com on the Earnhardt Family Playground. 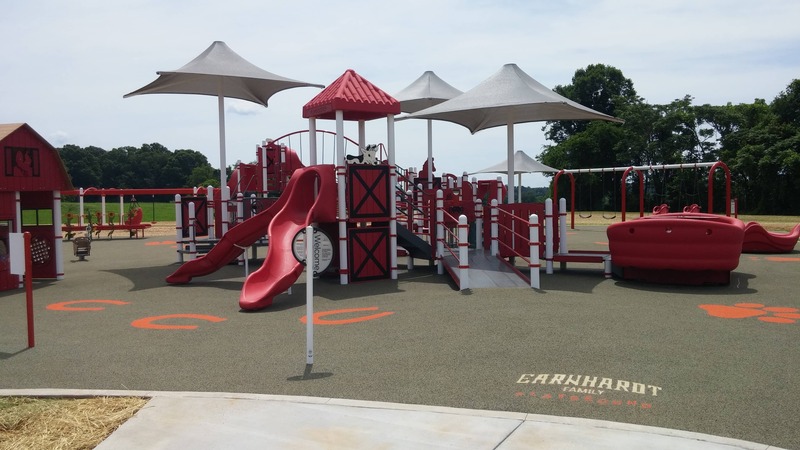 Click here to read an article on dalejr.com on the dedication of this playground. 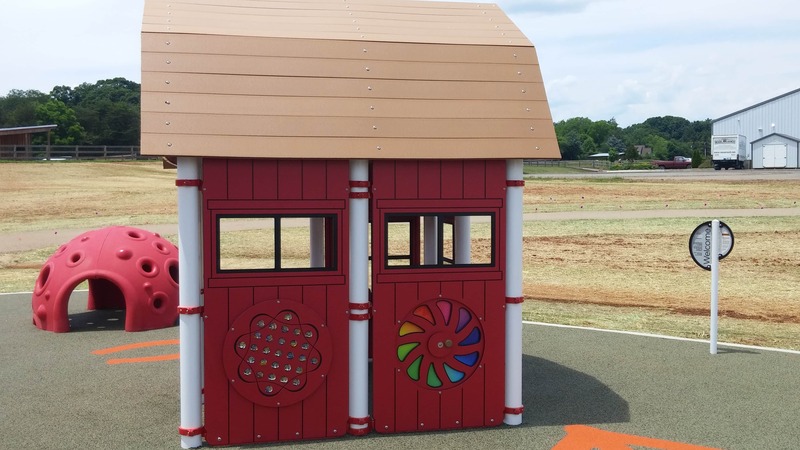 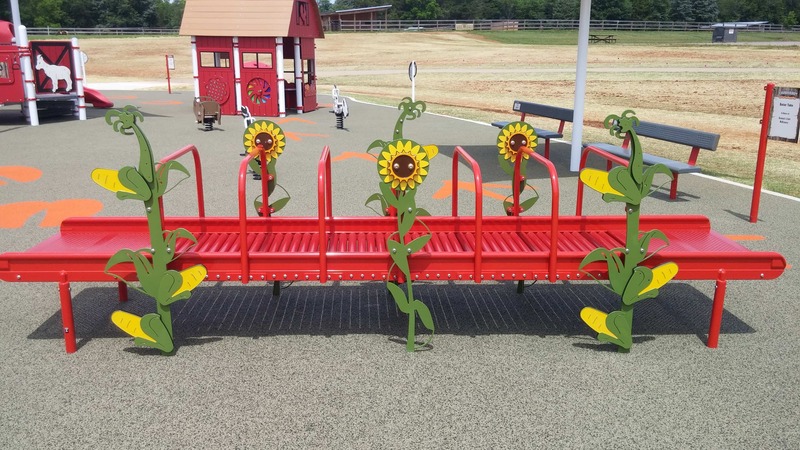 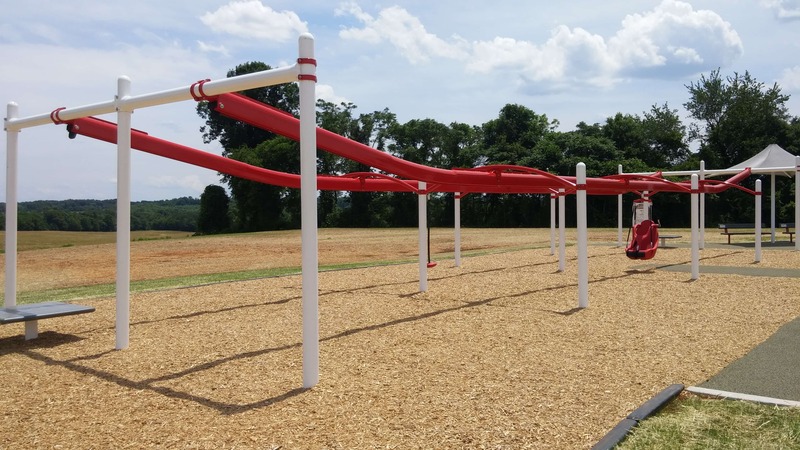 This inclusive playground at Rescue Ranch is seriously impressive-it’s one of the largest of its kind in North Carolina. 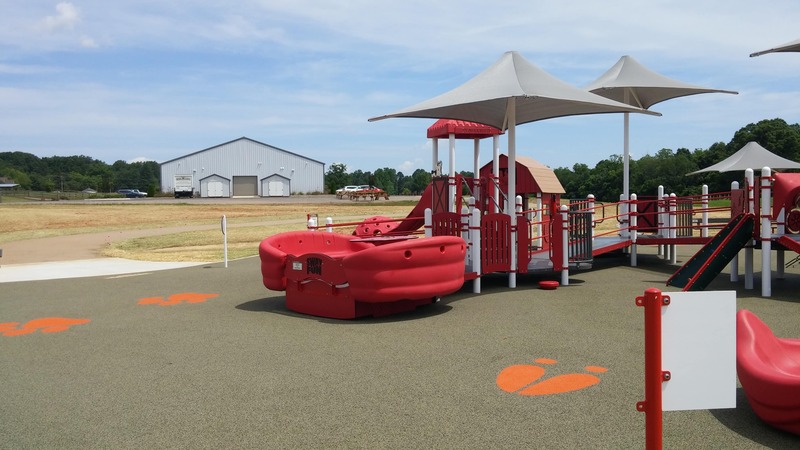 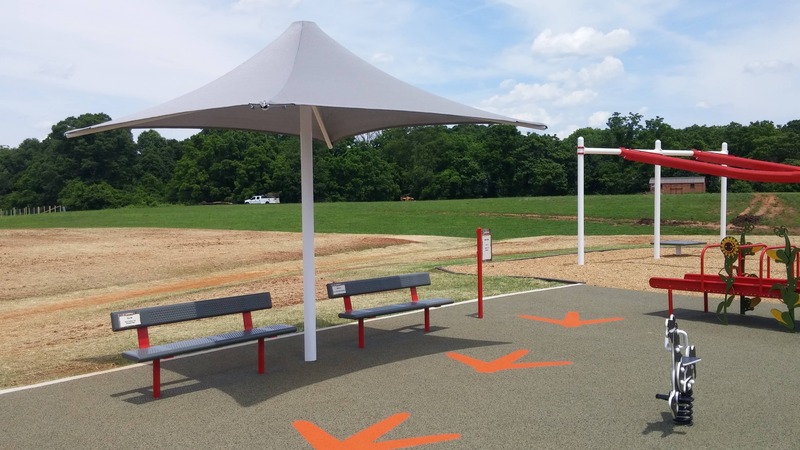 The Sway Fun® Glider is the perfect choice for an inclusive playground. 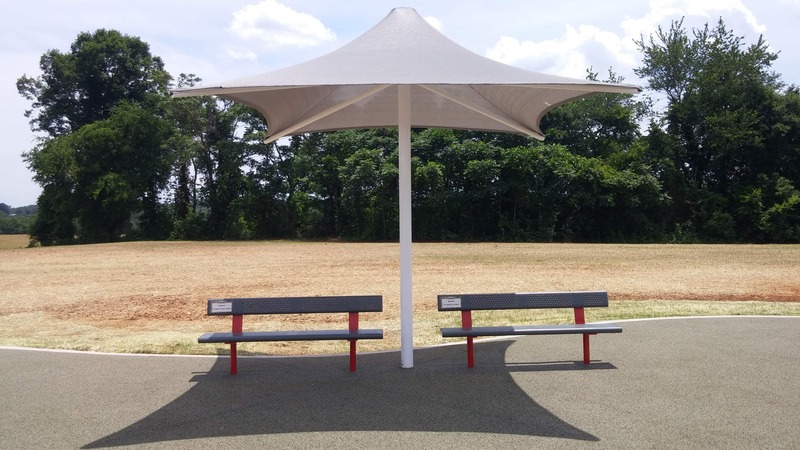 It’s the first wheelchair-accessible glider that meets ALL safety standards! 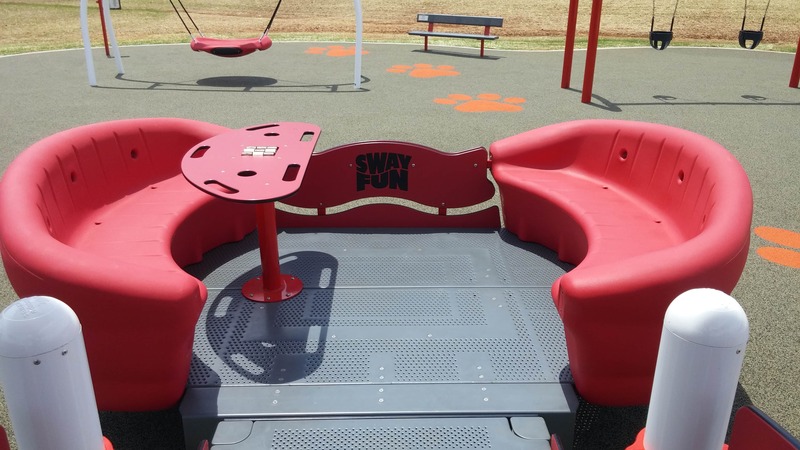 See the Sway Fun® Glider video here! 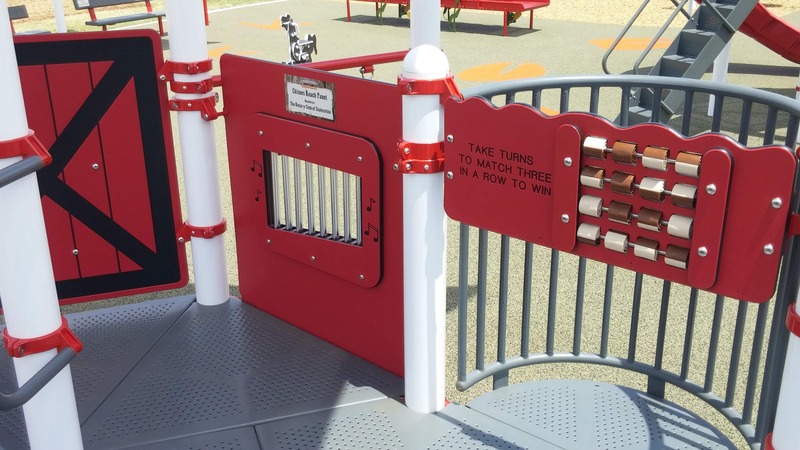 Provides kids much needed sensory stimulation, through the application of deep-muscle pressure from the steel rollers. 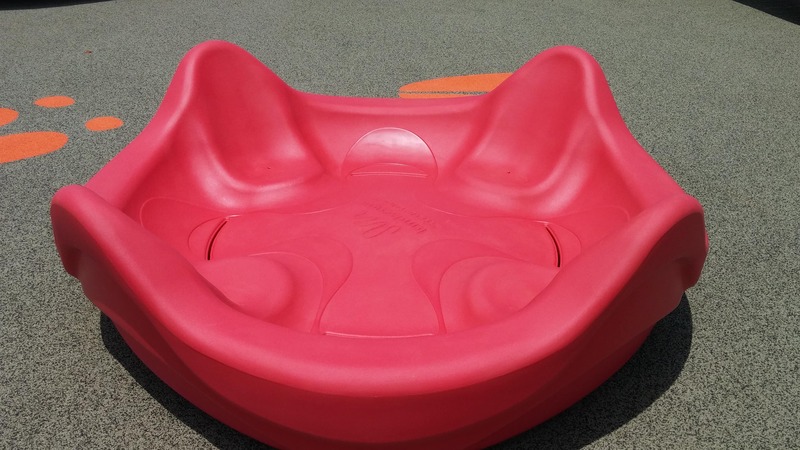 See the Sensory Play Roller Table™ video here! 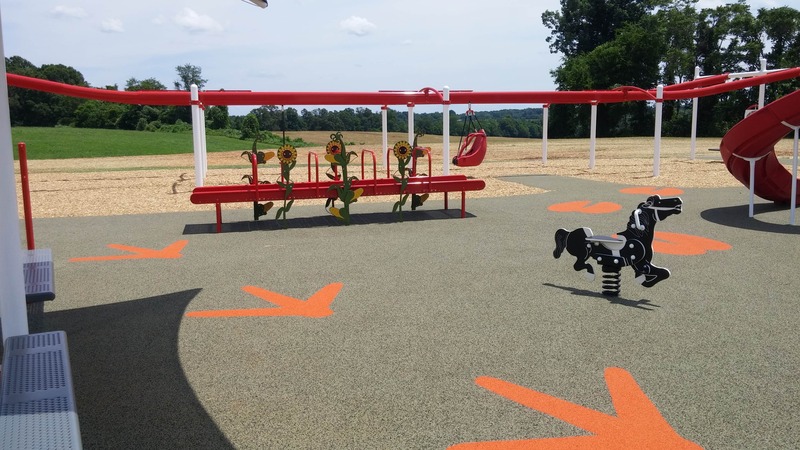 Kids of all abilities can experience the thrill of flying with ZipKrooz®! 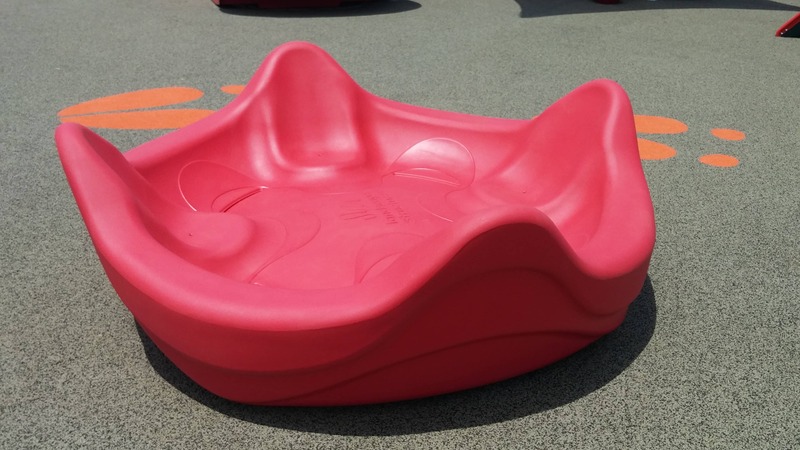 The molded bucket seat with lock-in-place harness provides stability and security for kids with limited core strength. 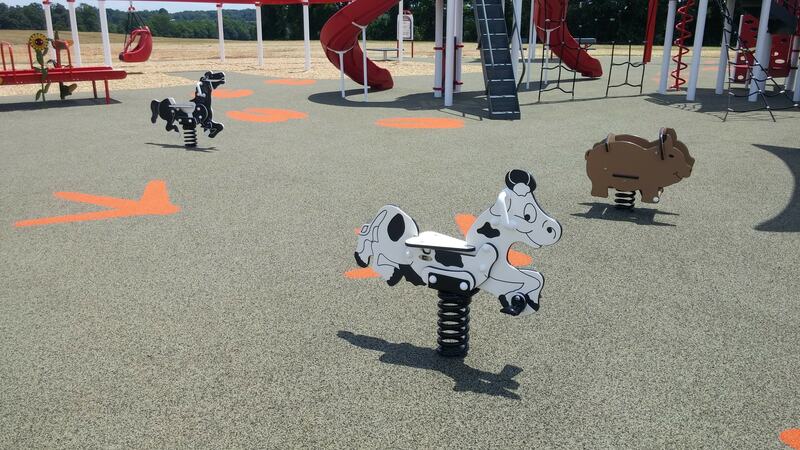 See the ZipKrooz® Assisted video here! 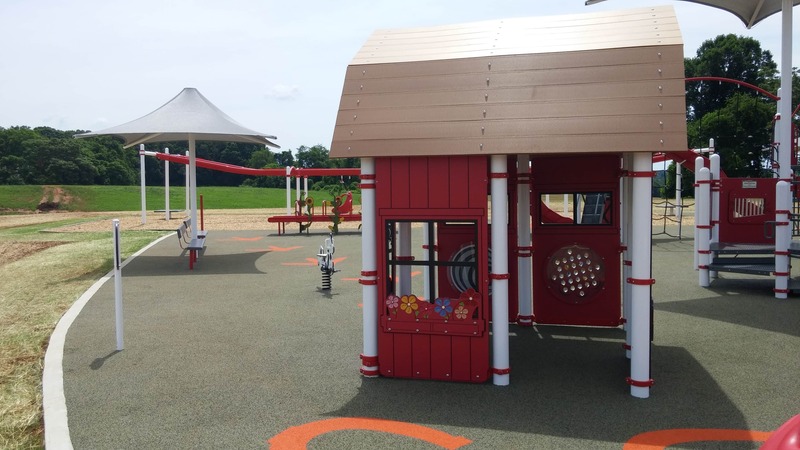 Offers kids a place to escape the hustle and bustle of a busy playground, take time by themselves or socialize together. 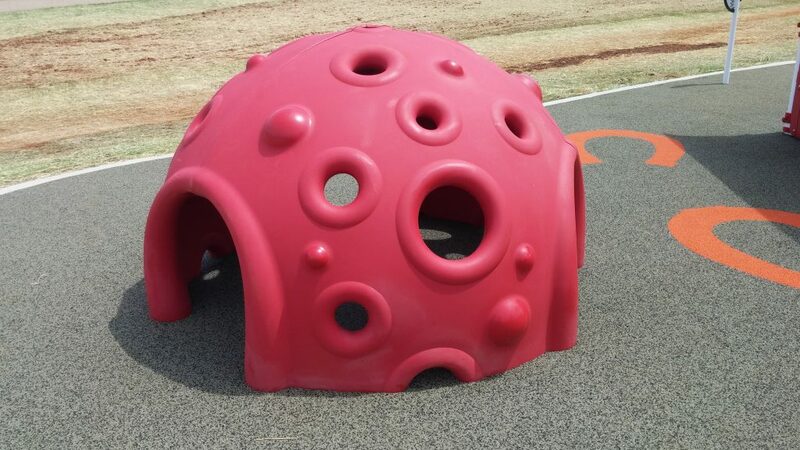 Various textures on the outer surface create a perfect climbing experience. See the Cozy Dome® video here! 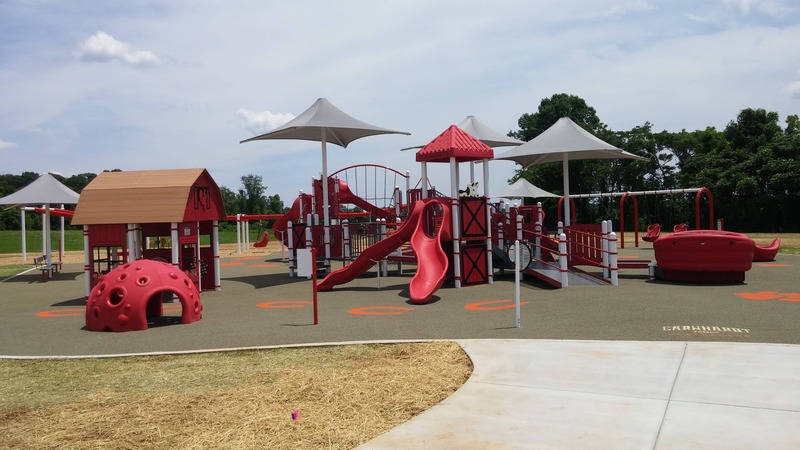 See the complete photo gallery here! 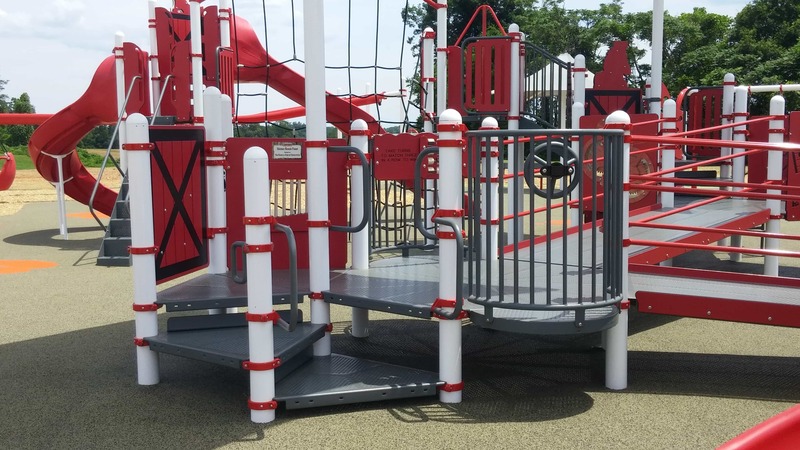 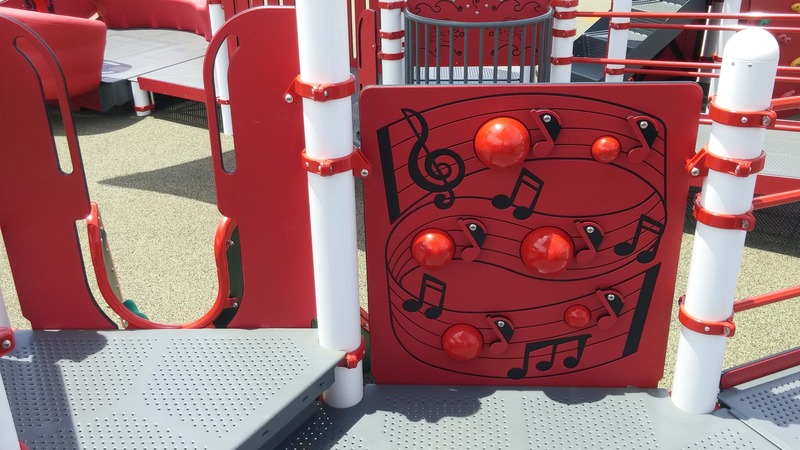 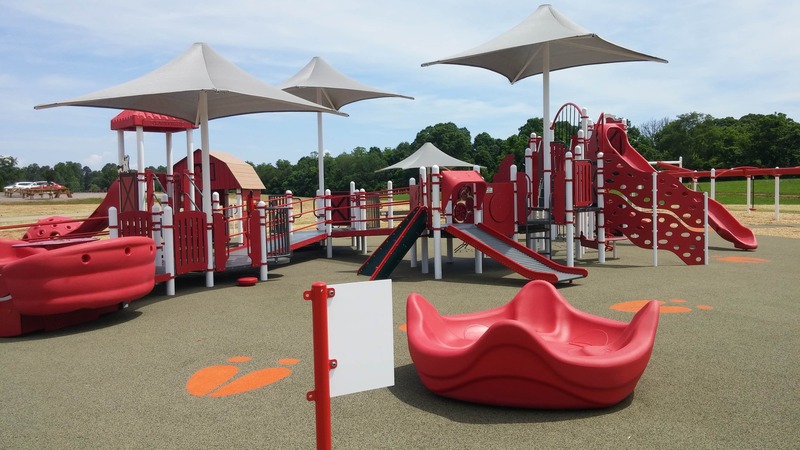 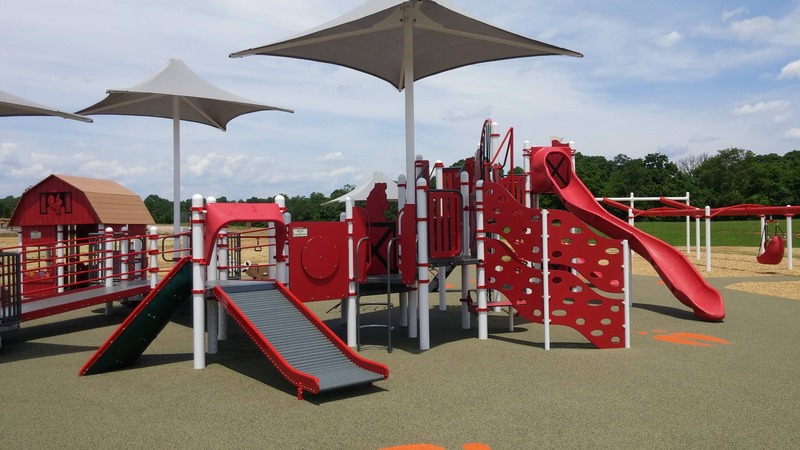 Click here to request more information on Inclusive Playgrounds.